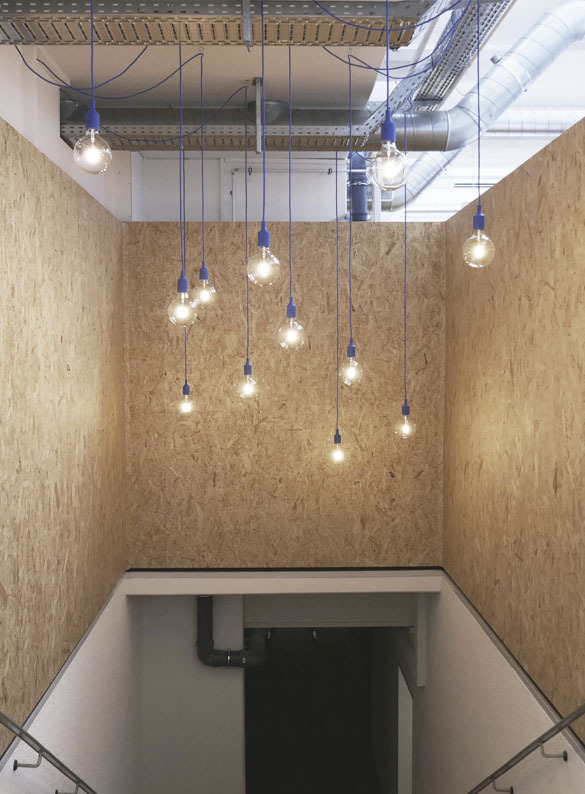 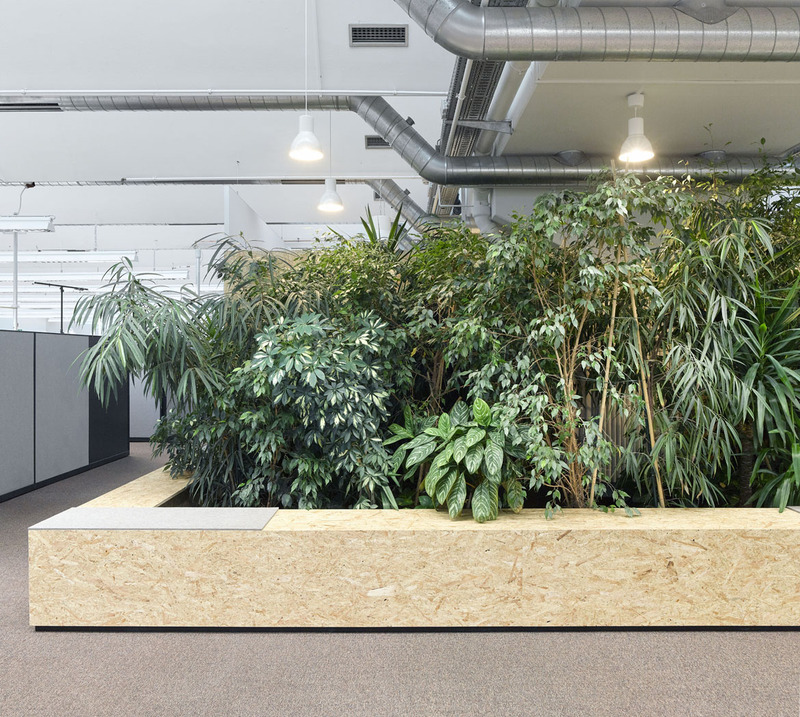 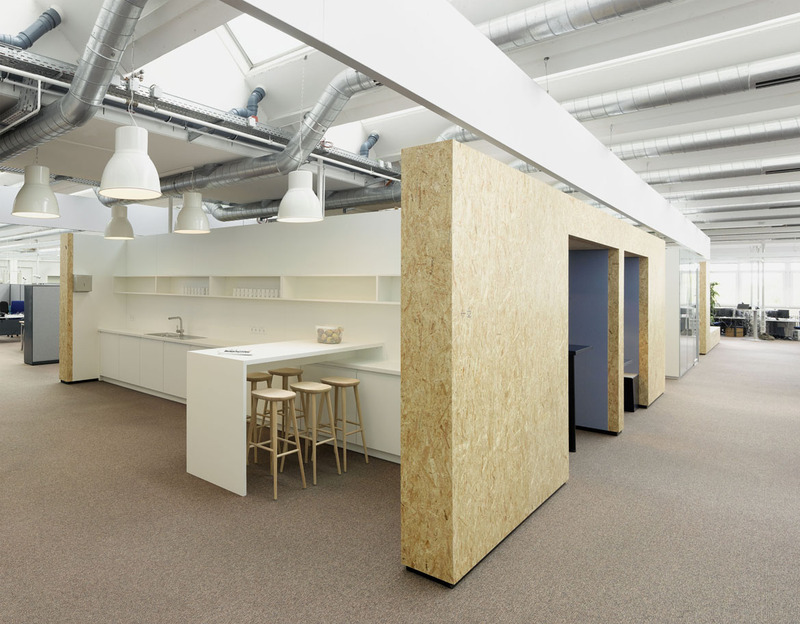 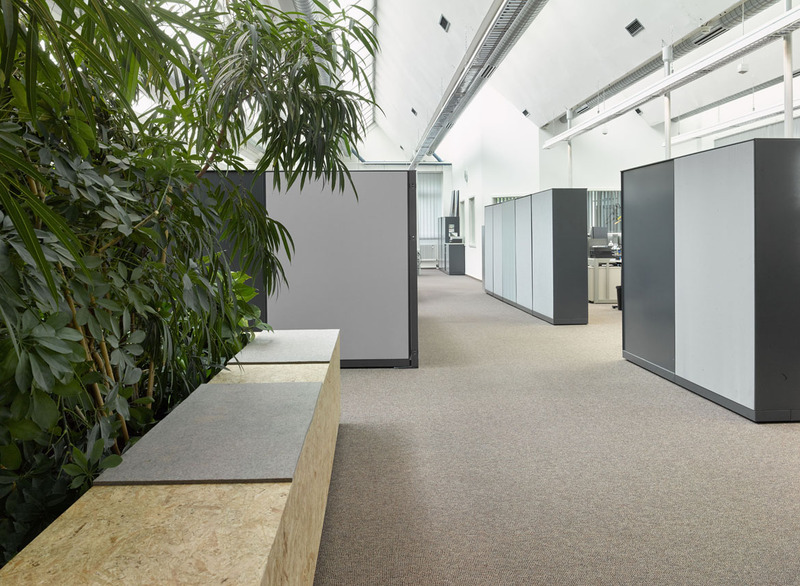 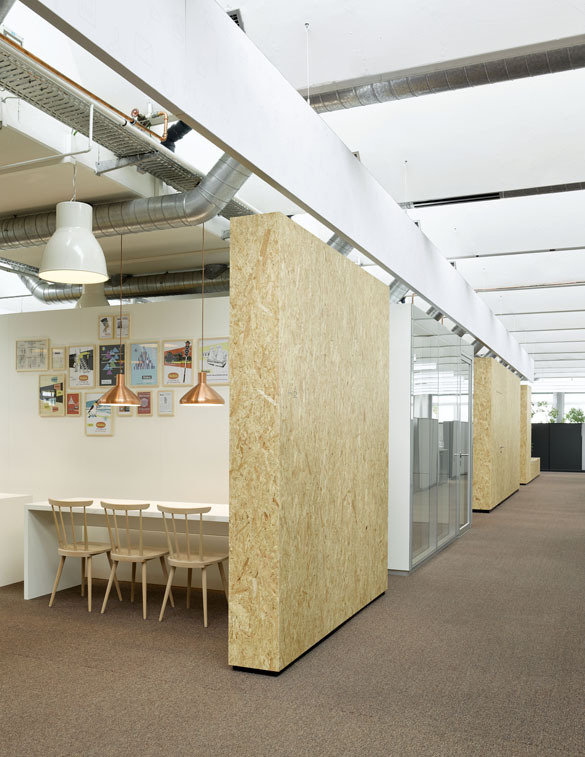 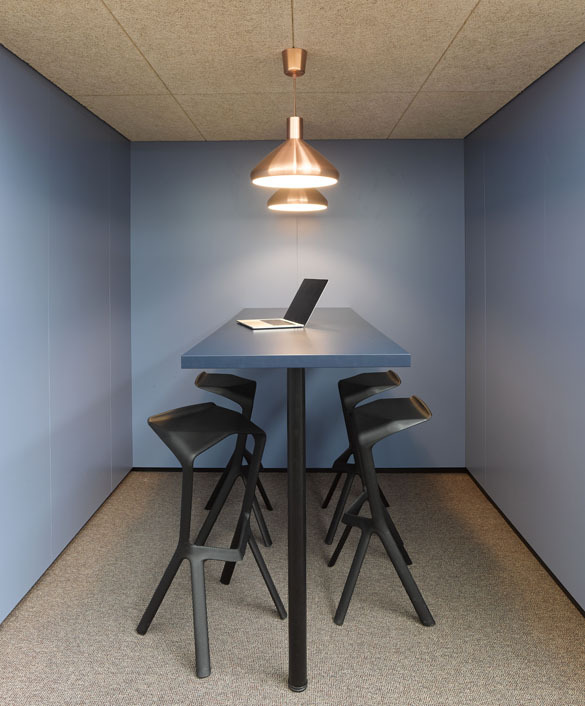 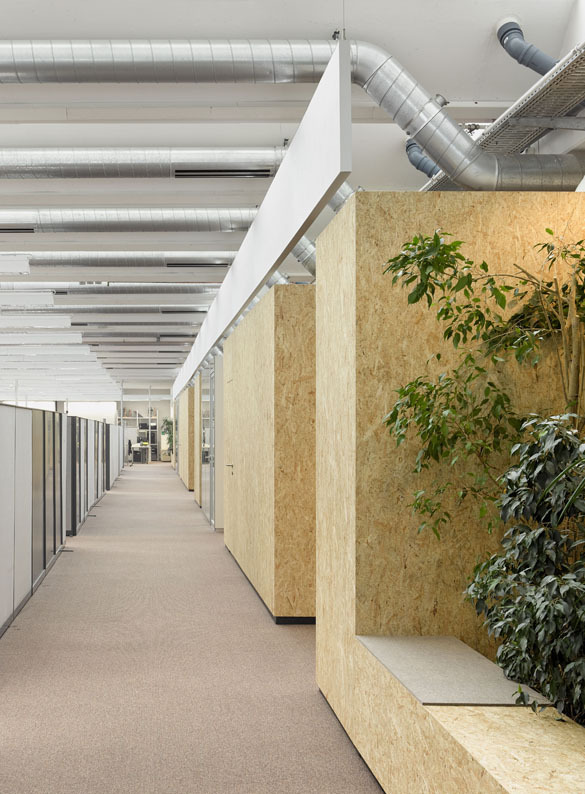 ID AID developed a large-scale reorganization project and material concept of the 2500 qm office space in a former production building of Theben AG. 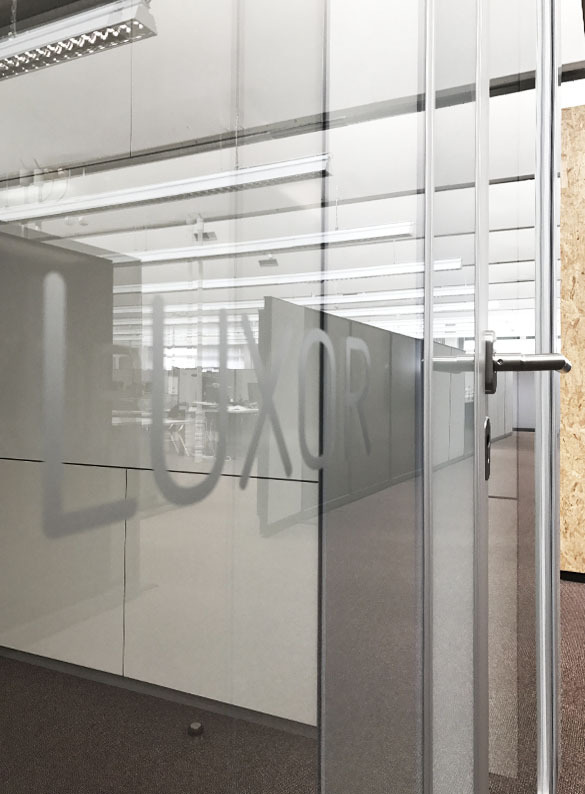 Since all existing components would have to be restored after an extension of the company, the design concept does not intend to touch the building structure, but to surround the inventory with all newly introduced elements or to superimpose. 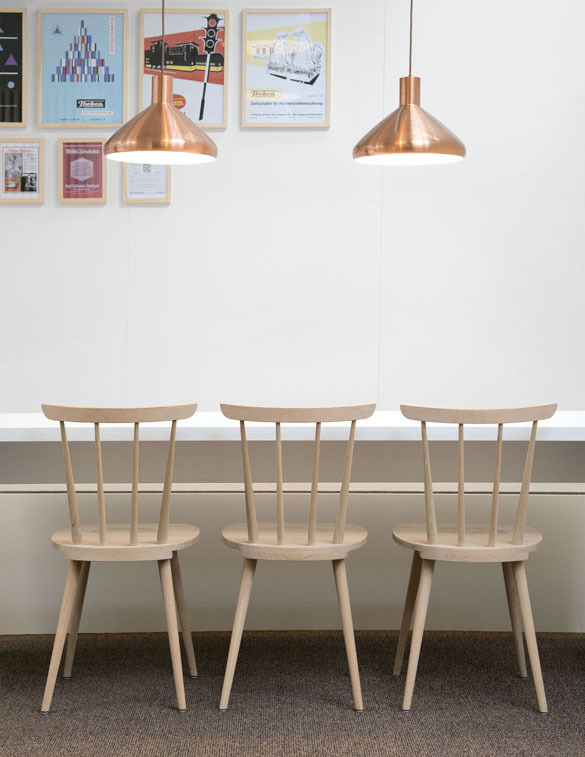 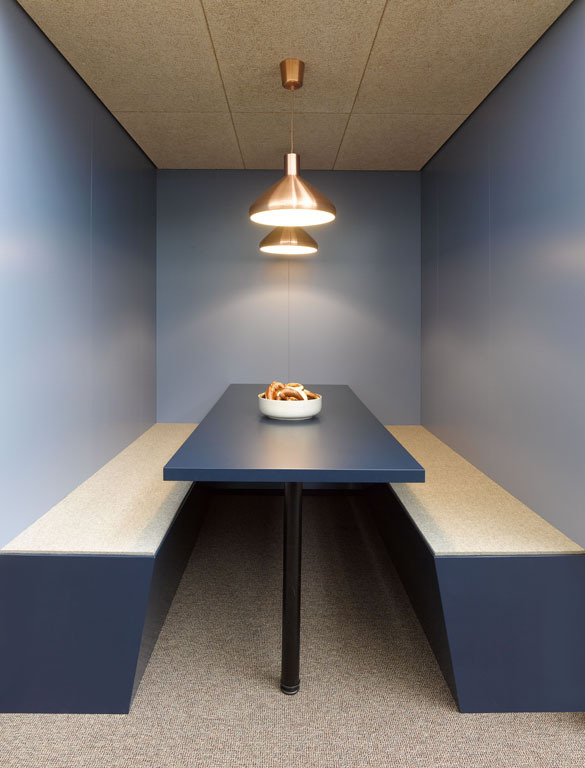 The formerly very small café corners have been replaced by a large, communicative kitchen area – the new main meeting place where the employees can meet in the daily routine. 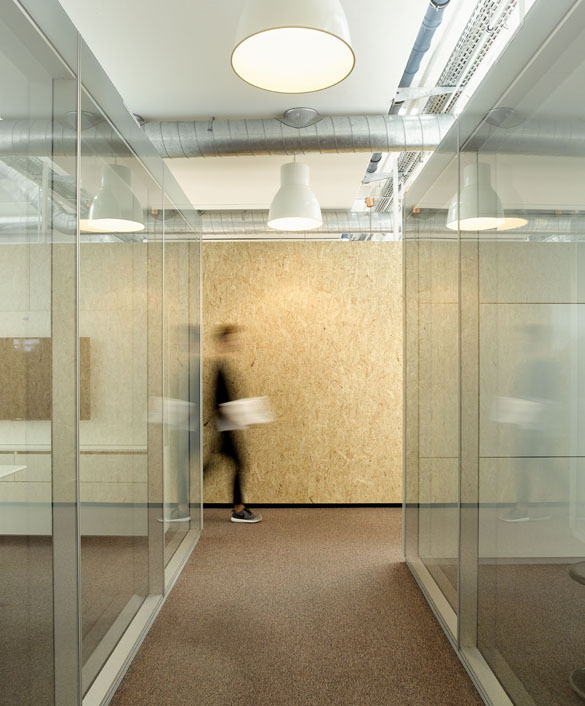 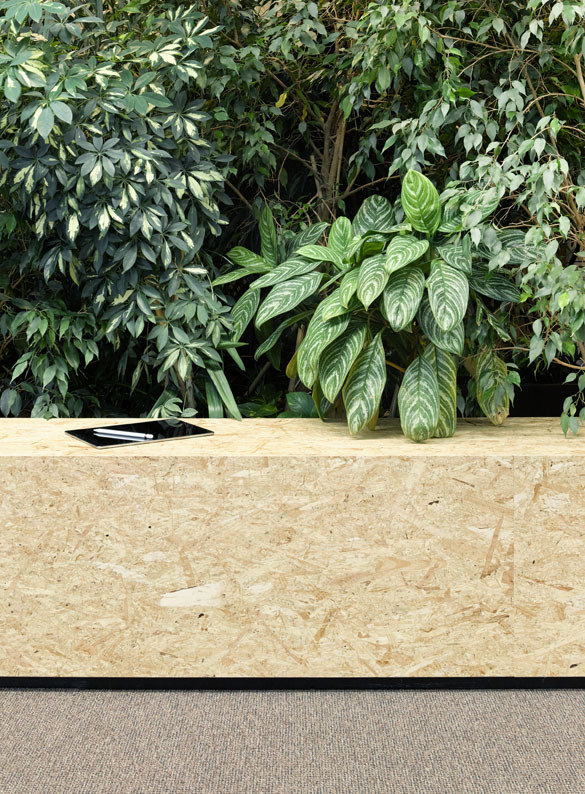 The minimalistic material concept allows to develop a maximum effect with sustainable materials and intelligently used differently treated surfaces. 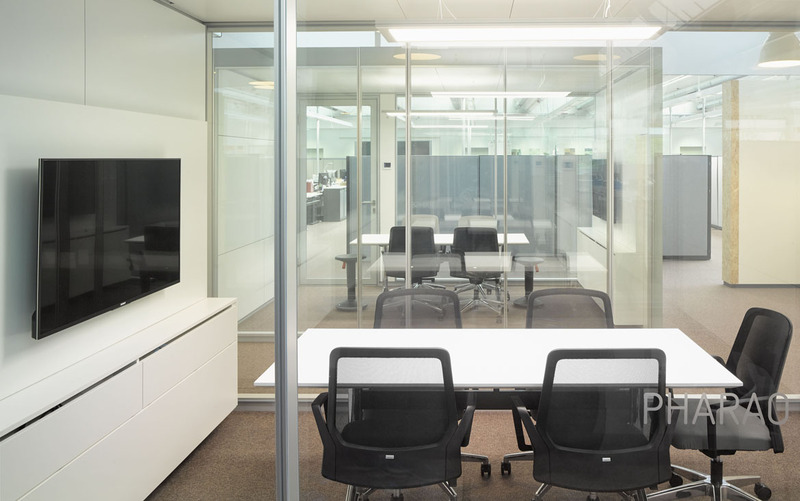 The high-quality, glass conference cubes with state-of-the-art communication technology, the embedded seat niches and the two large "green islands" on the front sides of the internals form exciting accents.